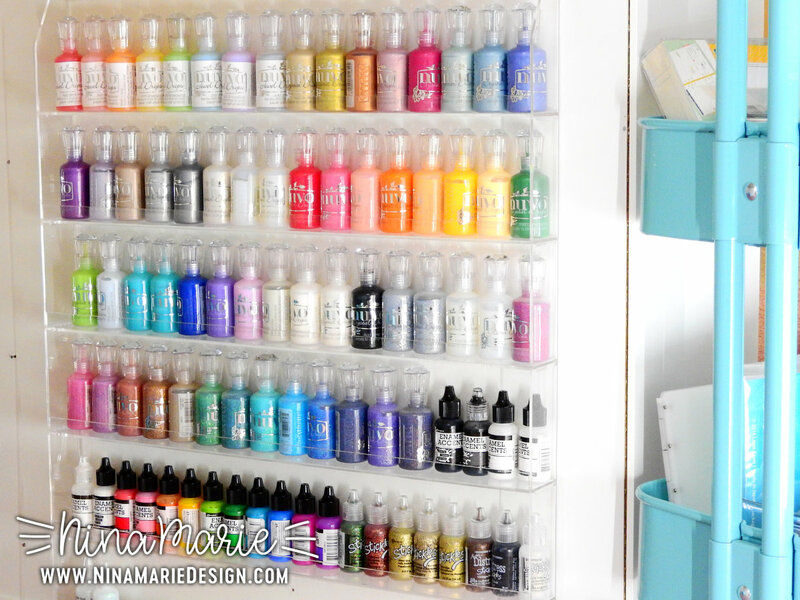 Hello everyone, welcome back to another episode of Craft Room Organization Quick Tips! 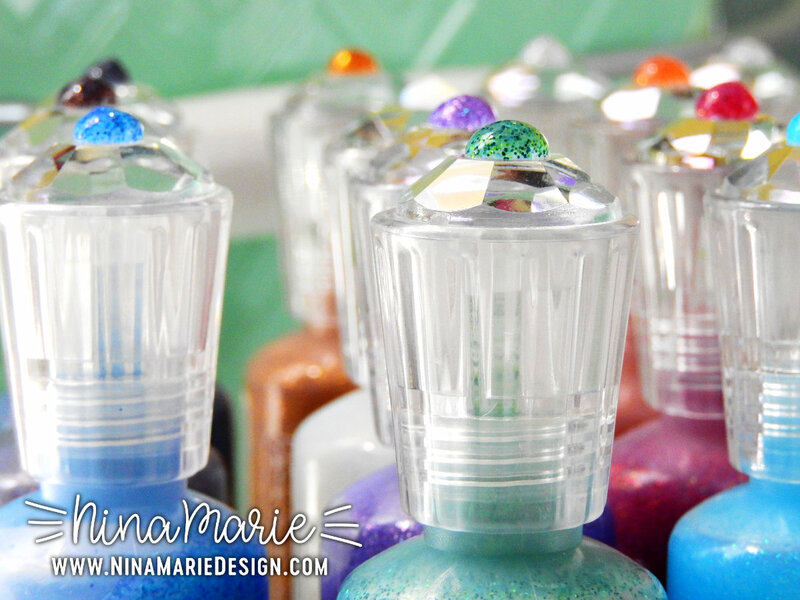 This newest video in my organization series is short and sweet, but features a fun way to add swatches to the top of your Nuvo bottles. 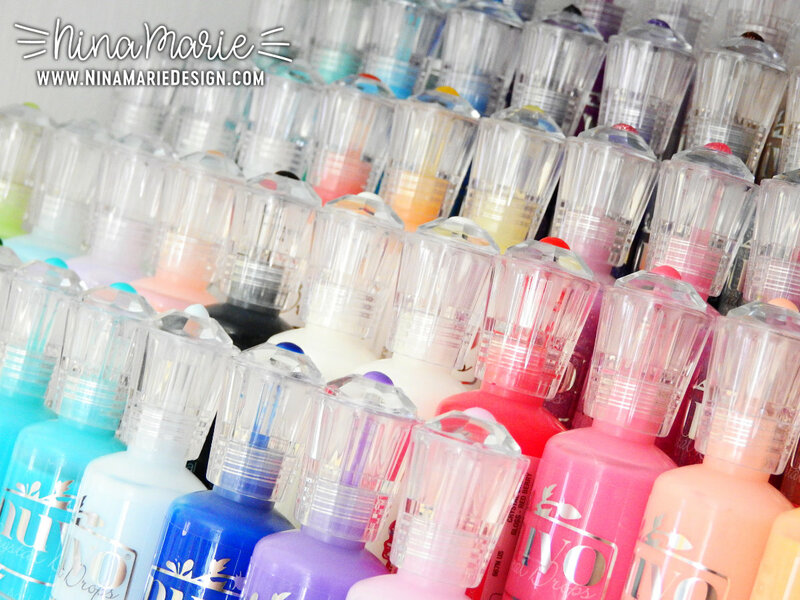 Before I get started on the bottle swatches however, I want to share some Nuvo storage solutions with you first! As many of you know, I recently moved and have been working on setting up my new studio. While the studio is not yet totally finished, I do have most of it put together. 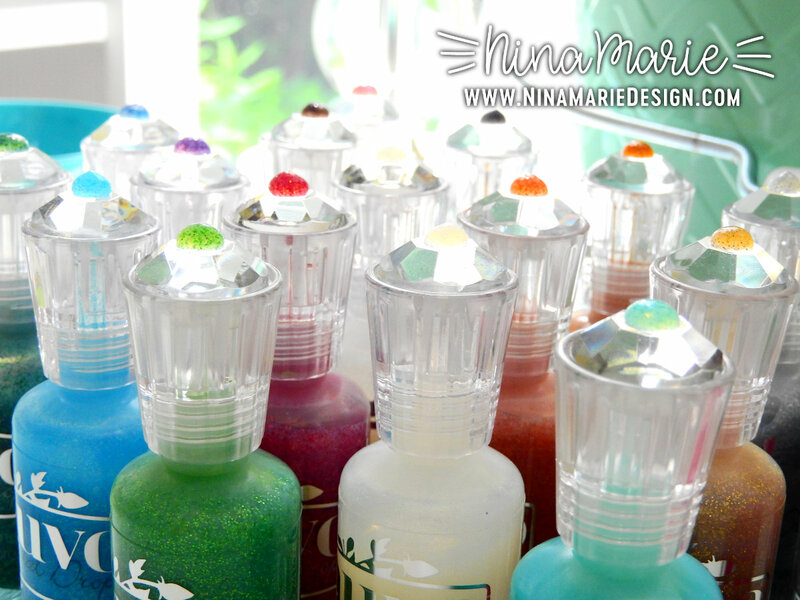 That nail polish rack was such a joy to have in my studio; I loved having all my Nuvo bottles displayed so beautifully. I have to admit I was a little disappointed I didn’t have a place for it in my new studio, but the trade-off was a set of three built-in bookcases that were part of the space when I moved in. 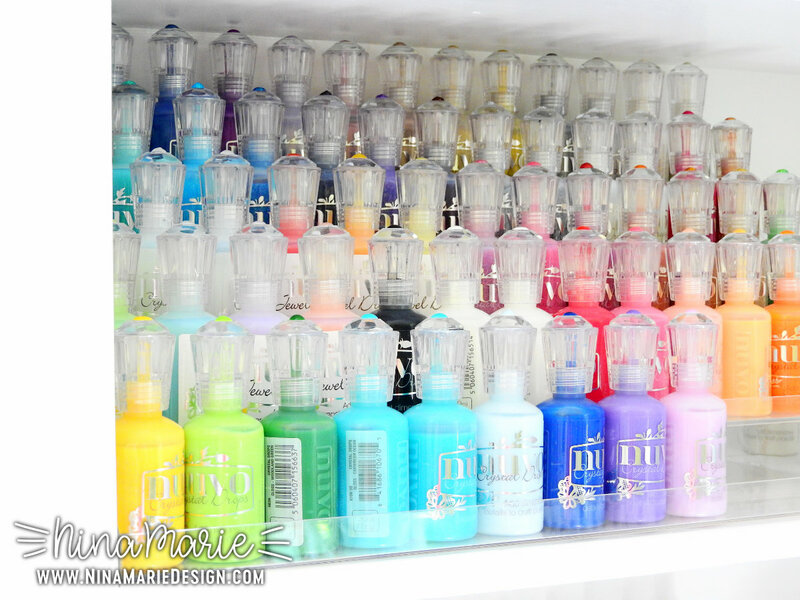 The built-in shelves are going to be a great area to house all my most-used supplies – and the ones I love to have displayed, such as my Nuvo Drops. 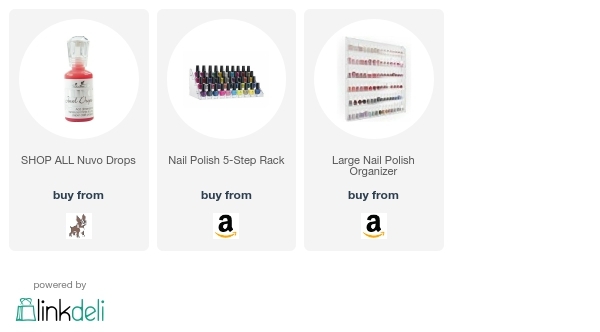 In my previous Nuvo organization video, I recommended another Home-It organizer as an alternative option to the large rack you saw above in my old studio: the 5-Step Counter Display rack. 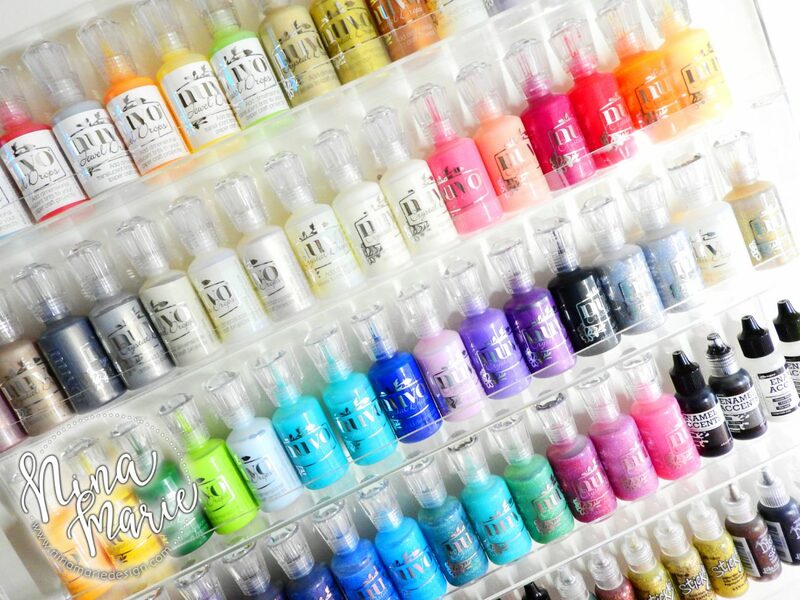 I suggested this rack because at the time I used it for storing my PH Martin India Inks and I loved the functionality and stability of the unit. After moving into my new studio, I found I could stick two of these 5-Step Counter Display racks into my built-in shelves. Both units fit all of my Nuvo and other embellishment bottles into these with some space leftover for additional bottles in the future. 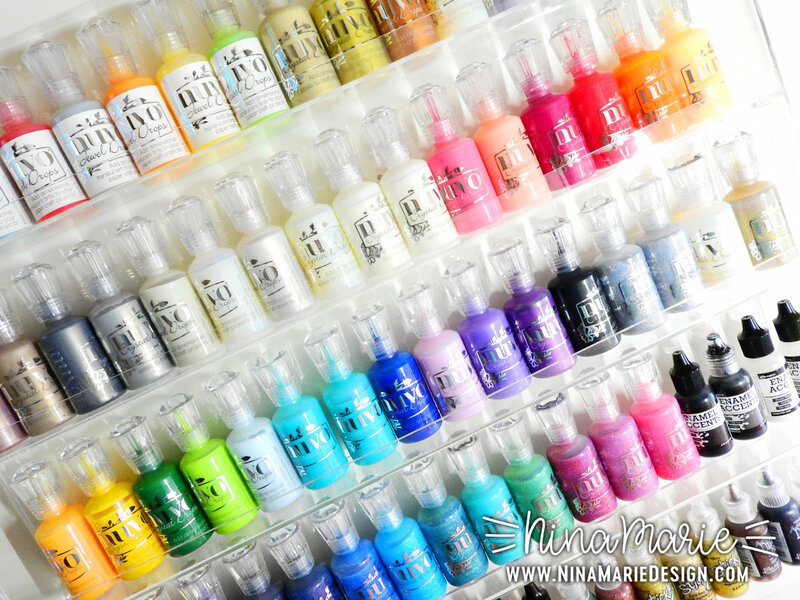 As you can see in the photo above, I also have two additional 5-Step units on the shelf below for my PH Martin India Inks and my Distress ink refills. I also store all my Distress Oxide refills in that 5-Step unit also … but when I took this photo, I had not found them yet. Unpacking is a long process! 65 of the Nuvo Drops bottles fit into this 5-Step unit; you can stick 13 bottles in each of the 5 tiers. I really like how well these units display the Nuvo bottles but also still give the functionality that I need. So if you have a small space like I do and need to fit something a bit smaller than the larger rack I used to use, I would highly encourage you to check this one out! As you can see, the unit looks great on my built-in shelves! Now I want to move on to the bottle swatches I created. I am sure some of you have thought of this idea already – and maybe you’ve already posted about it! 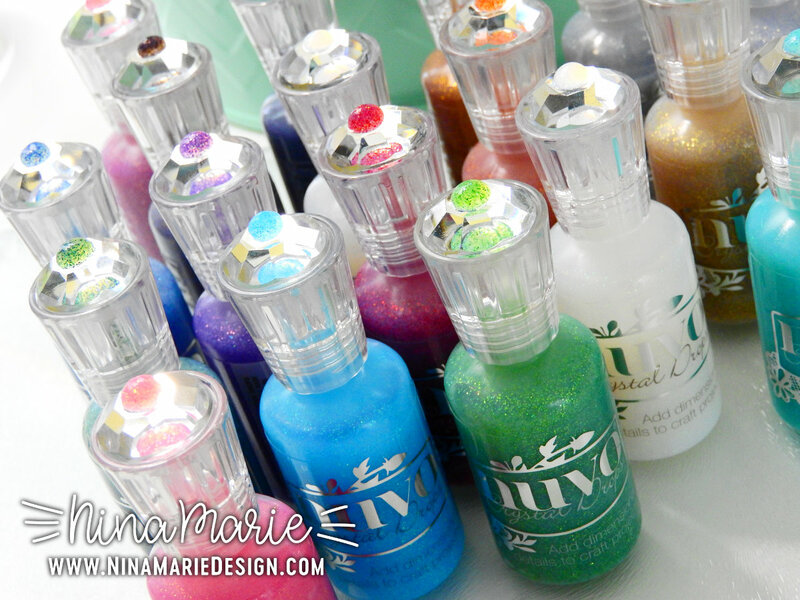 But for those of you that are looking for a cute way to decorate your Nuvo bottles, I wanted to share this tip with you. 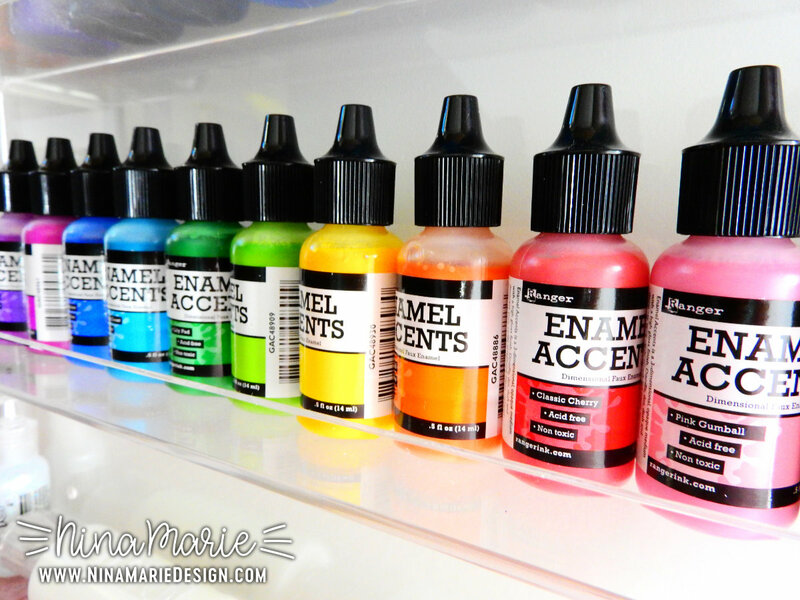 Nuvo Drops are a liquid embellishment that can adhere to pretty much any surface. 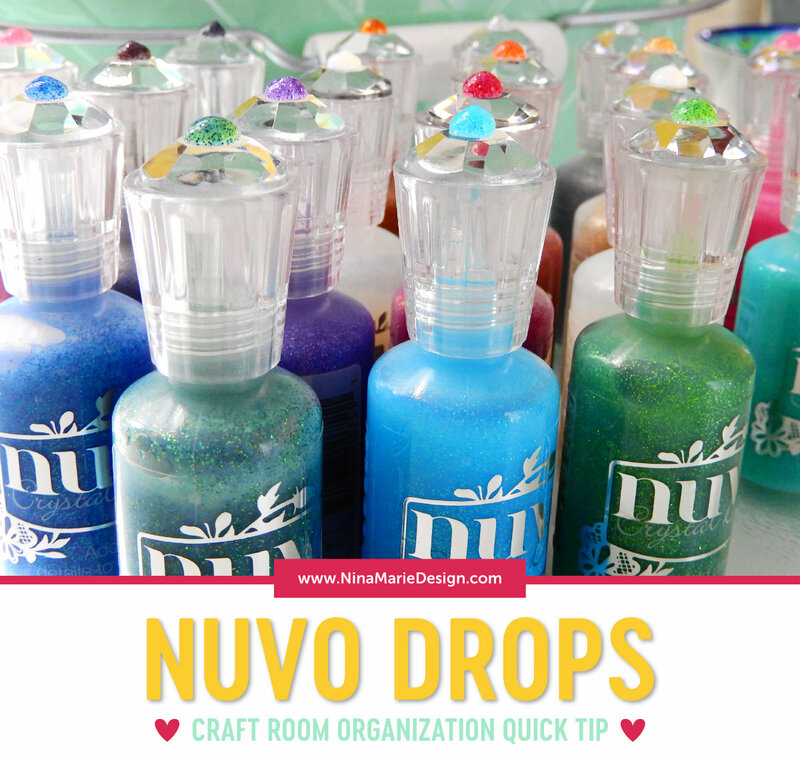 I thought it would be fun to add dots of the Nuvo Drops onto each of the bottle tops. 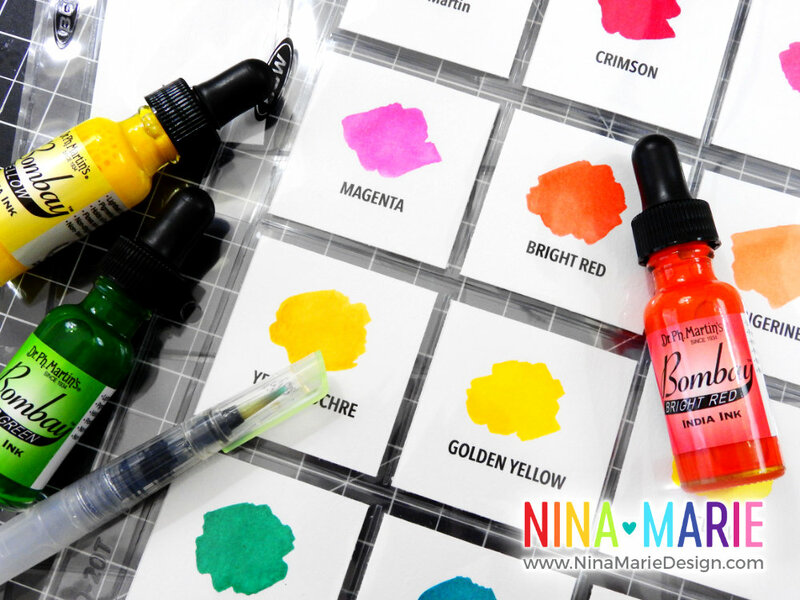 This way – even when I am not using my swatch chart – I can quickly see how the Drops will dry on my project. Plus they look pretty too, which is an added bonus! To add the Drops onto the bottles, I find the best and easiest way is to hold the Nuvo Drops bottle directly over the cap. If the bottle is held over the cap at an angle, you may not get as even of an application or a perfectly round dot. I let the Drops dry for a couple hours before handling the bottles, as I do not want to interfere with the drying time and potentially make the Drop lose its perfect, domed shape. 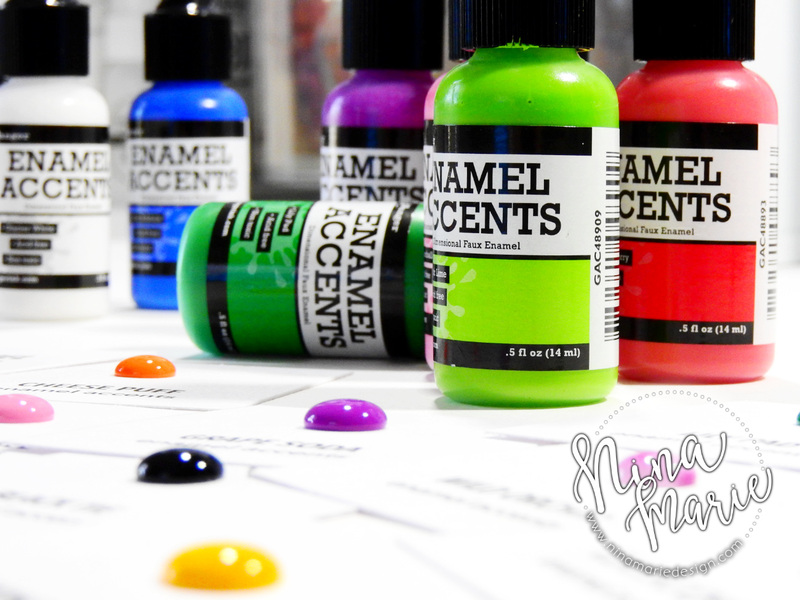 In the video below, I take you through the quick and easy process of adding the Drops onto the bottle tops. Today’s video was short and sweet, but its such a fun little way to add extra organization and beauty to you craft space! Thanks for visiting with me today… I’ll be back tomorrow with a new Studio Monday video to share with you. Until then, happy Sunday! 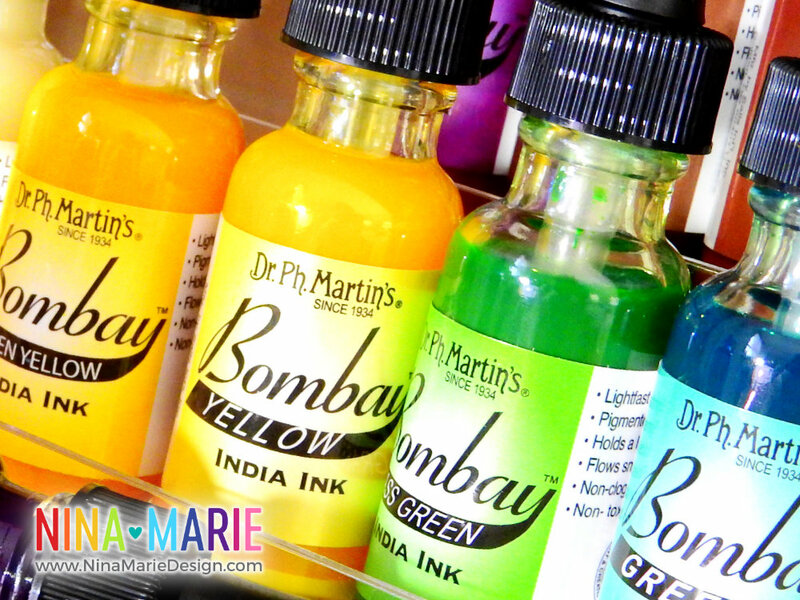 If you missed the PH Martin India Ink organization video I mentioned above, be sure to watch the video and check out the post that showcases how I organize them. 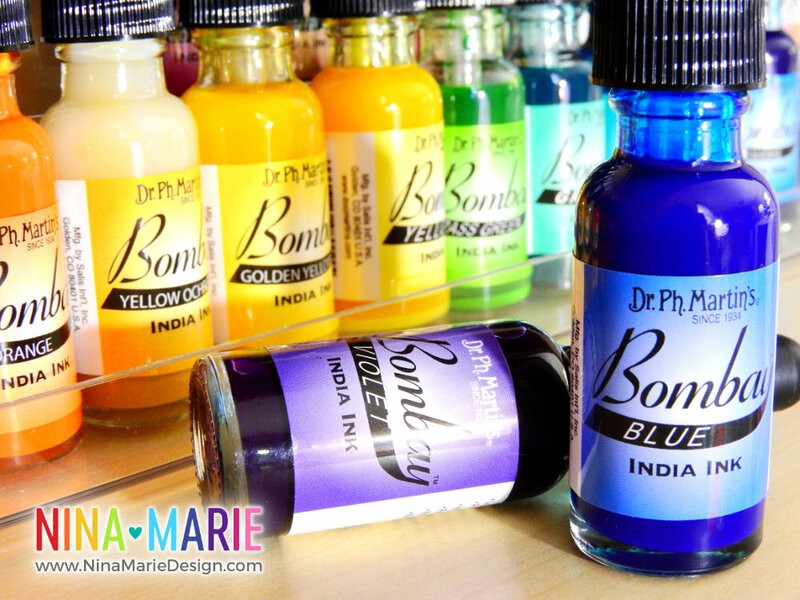 You can also find swatches for all the India Ink colors! The previous video I had created about Nuvo Drop organization is packed with a lot of great info and tips. I highly encourage you to check this video out if you haven’t already. You may find some tips and ideas in the post and video that fit your craft space perfectly! 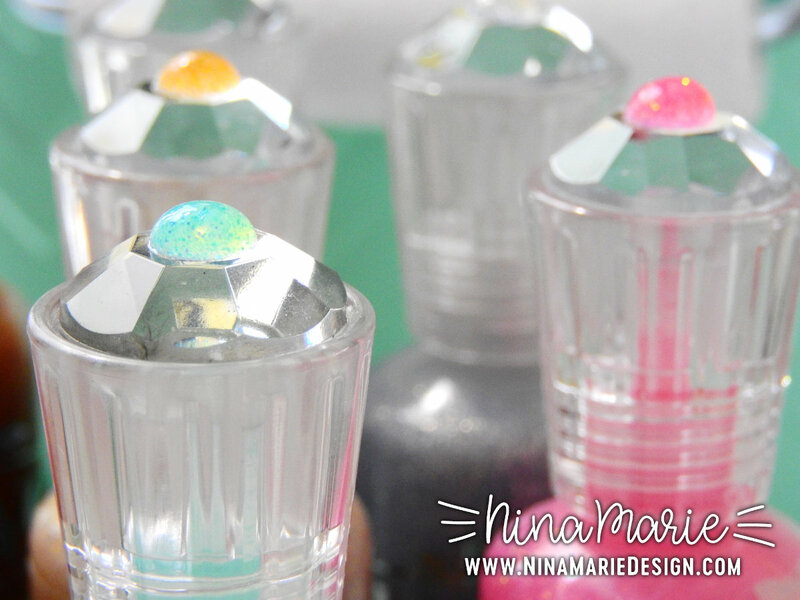 If you haven’t already, be sure to check out the resources area of my blog for downloadable swatch charts for Nuvo and other embellishment bottles! The swatches are a handy feature for keeping your stash organized and ready to be used. I also have swatch charts available for other mediums. You can find them all HERE.